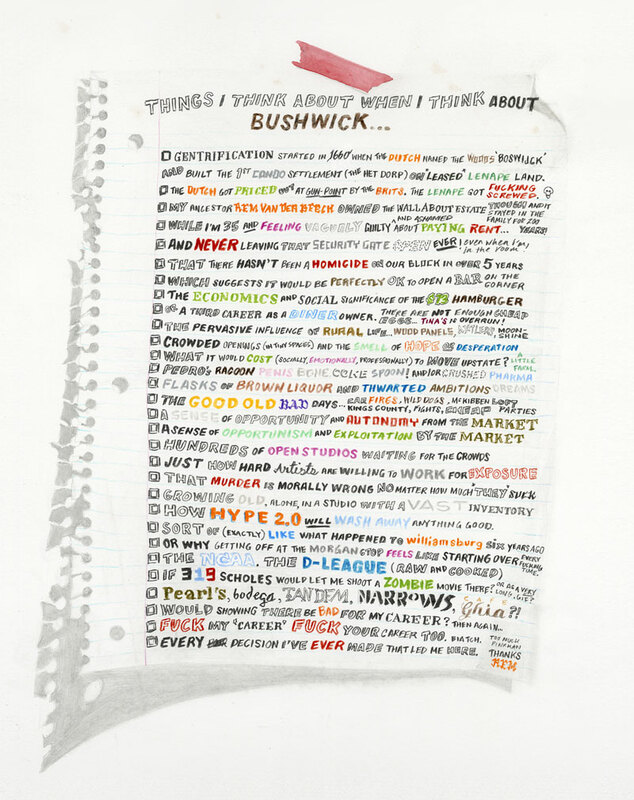 Supreme Digital and Arts in Bushwick have partnered to release a benefit print edition of “Things I Think About When I Think About Bushwick” to support BOS 2012. While I love to hate Bushwick, it has been my home for almost four years now and I’m happy to support the efforts of BOS to pry open artists studios and force them to admit the public. The print is an edition of 40 with 85% of the proceeds going to BOS. My only request was that BOS and Supreme Digital offer an artists honorarium in hopes that small fees might become part of the landscape of benefit requests. More broadly, I hope it becomes part of the discussion for all arts organizations who want to support artists.